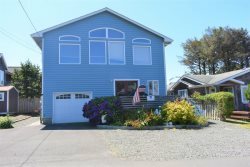 If you are planning on lounging on the Oregon Coast beaches AND exploring nearby hiking trails, our Cannon Beach house rentals near the beach are perfect for you. No matter where your day takes you, you wont be far from a good time with one of our vacation rentals near the beach. These rentals are also close to area restaurants and shopping- a little bit of everything! The perfect mix for a perfect vacation!